Grand Central Publishing, 9781455512478, 112pp. The funniest, most memorable Twitter messages from comedian and bestselling author Steve Martin, along with hilarious responses from followers. Steve Martin's uncanny ability to pack 140 characters with humor and wit has defined what it means to be a celebrity in today's world of social media. With over 8 million followers on Twitter (a number growing by the day), Martin's tweets have been covered by personal blogs, major news outlets, and everything in between. 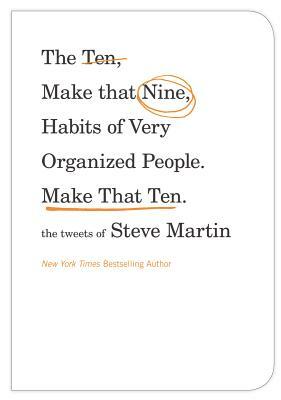 Funny illustrations complement Martin's insights on everything from celebrity culture to jury duty to Twitter itself. Perfect, light reading for your hectic commute, busy waiting rooms, or a lazy Sunday afternoon, this collection will delight avid followers and offline fans alike.